Both understanding and evaluating social change are complex undertakings. A variety of approaches and standards are currently used across the field, by projects, research, and policy; and often these do not join up or speak of the same outcomes and indicators. 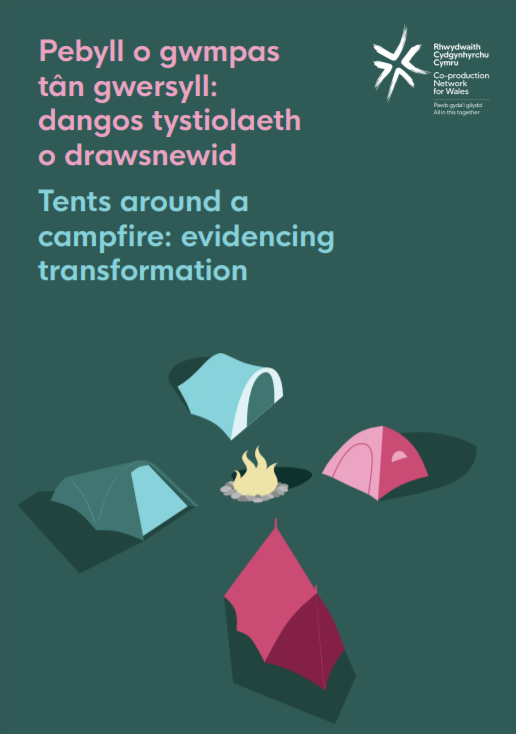 There is a history of conversations about these issues, which we wanted to build on within the context of associated policy, practice and research development in Wales. On 17th April 2018, the Co-production Network for Wales, with support from Welsh Government and the Wales School for Social Care Research, convened a conversation in Cardiff. This event was an informal seminar and working group, not a conference. The aim was to share points of view, and advance our knowledge and practice together. We invited key actors from across the spectrum to discuss what is available in terms of tools, approaches and resources; what is still needed; and how to advance this agenda collaboratively. We see it as gathering the various tents around a common campfire. This report summarises the issues raised and next steps being considered.